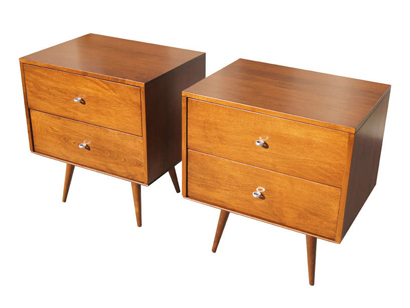 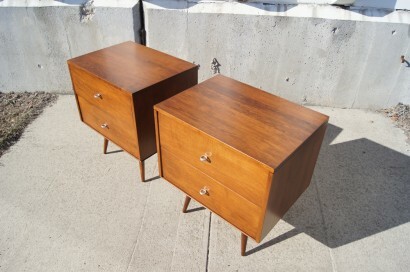 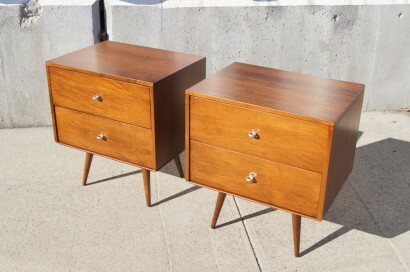 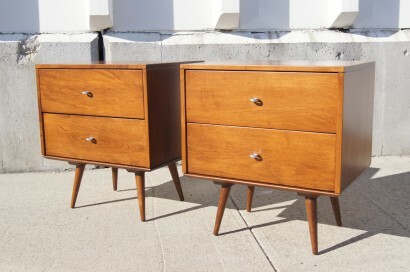 This pair of nightstands was designed by Paul McCobb for Winchendon Furniture’s Planner Group line. 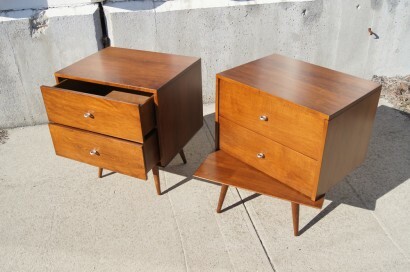 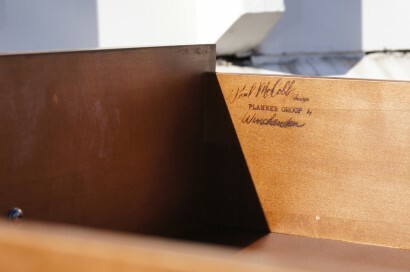 Each nightstand is composed of a two-drawer case piece that sits atop a small detached table (see pictures). 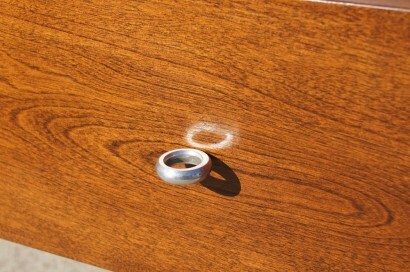 The nightstands have been expertly refinished but feature the original aluminum ring drawer pulls. 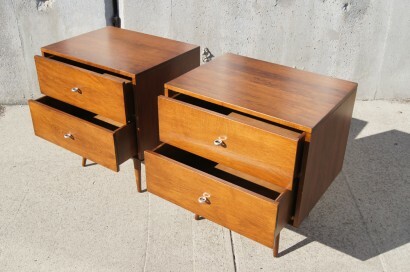 A corresponding six-drawer dresser is also available.